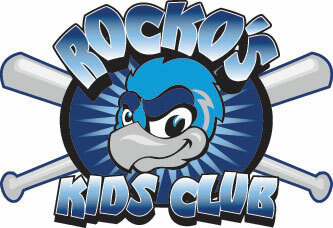 May 21, 2009 - CRESTWOOD, Ill. – Robbie Knapp led off the seventh inning with a tie-breaking home run and Ross McCoy drove in five two-out runs on Thursday as the Rockford RiverHawks edged the two-time defending Frontier League champion Windy City ThunderBolts, 8-7, in their season opener. Knapp, a returning all-star, homered to right field off reliever Adam Dominic after the ‘Bolts had rallied from a five-run deficit to tie the score at 7-7. McCoy, one of six new players in the starting lineup, was 4-for-5. The RiverHawks jumped out to an early 6-1 lead thanks to McCoy’s clutch hitting. McCoy, acquired from Reno of the Golden League in an offseason trade, had two-out, two-run singles in the first inning and again in the third. He singled in another two-out run in the fifth inning. Windy City rallied for three runs in the fifth and three more in the sixth. Gilberto Mejia hit a two-run homer in the fifth inning, tripled home two in the sixth and scored the tying run on a groundout. He was 4-for-5 with two triples. Rockford reliever Jay Monti, who lost the lead in the sixth inning, picked up the win. Windy City left 10 men on base, five of them in the final three innings. Rockford closer John Muller walked the first two hitters of the ninth inning, but struck out the last two. Muller got former RiverHawk Tony Gonzalez to chase an 0-2 slider in the dirt for the final out and earned the save. The season-opening, four-game series continues at 7:05 p.m. Friday. The RiverHawks are members of the Frontier League, a 12-team independent professional baseball league that will play its 17th season this summer. The RiverHawks play their home opener at 7:05 p.m. May 26 against the Midwest Sliders of Ypsilanti. The RiverHawks host the 2009 Frontier League All-Star Game at 7:05 p.m. on July 15. Advertising and season-ticket information is available by calling (815) 885-2255. Fans can also visit the RiverHawks online at www.rockfordriverhawks.com.